Hey Soldiers! 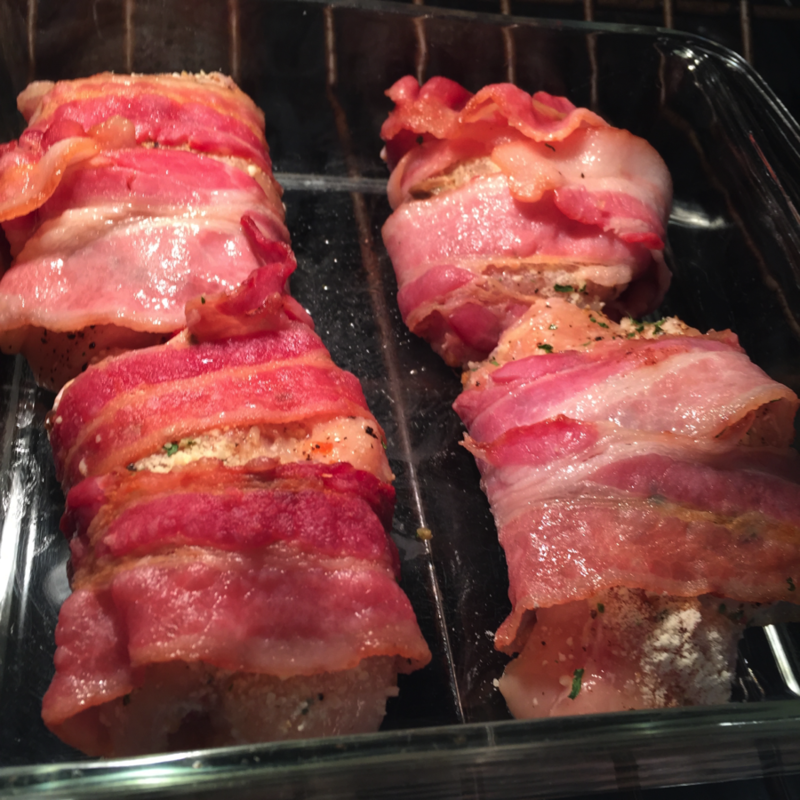 Anytime I have the opportunity to incorporate bacon in my dishes – I do! The great thing about this recipe is you can get creative. You can make substitutions or add ingredients based on what your taste buds are telling you. 1. Heat olive oil over medium heat in large skillet (I added a few pieces of garlic for more flavor). 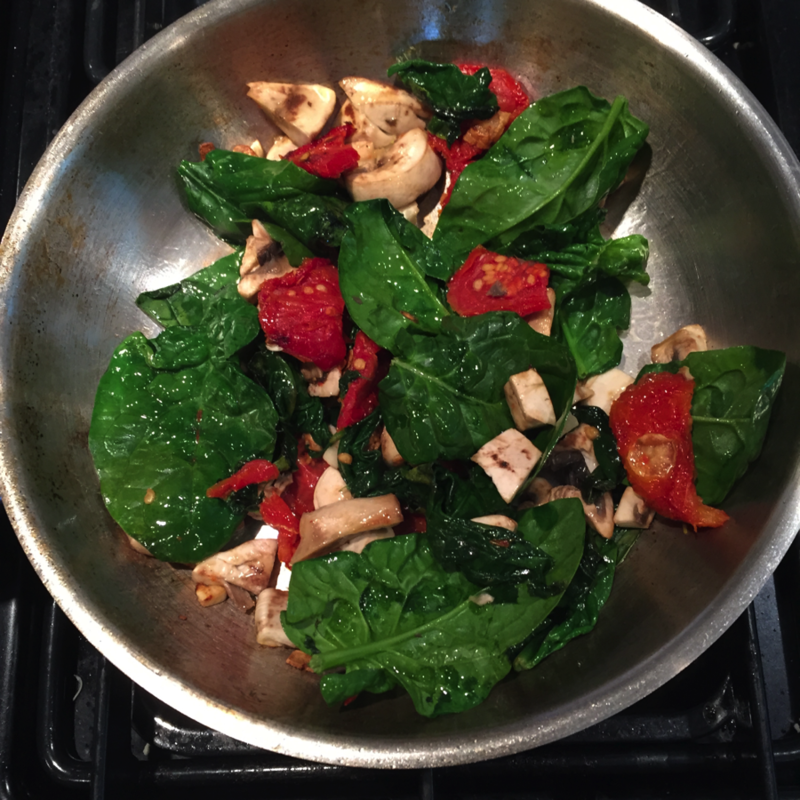 Sautéd onion, sun dried tomatoes, mushrooms, and spinach. If you want to substitute or add to your stuffing now is the time! 2. Remove from heat to cool. 4. Meanwhile, prepare your chicken breasts for the stuffing by cutting a pocket in the side of the chicken. 5. Mix parmesan (or cheese of choice) and parsley with cooled stuffing mixture. Divide it evenly and stuff into the pockets you created in the chicken. 6. 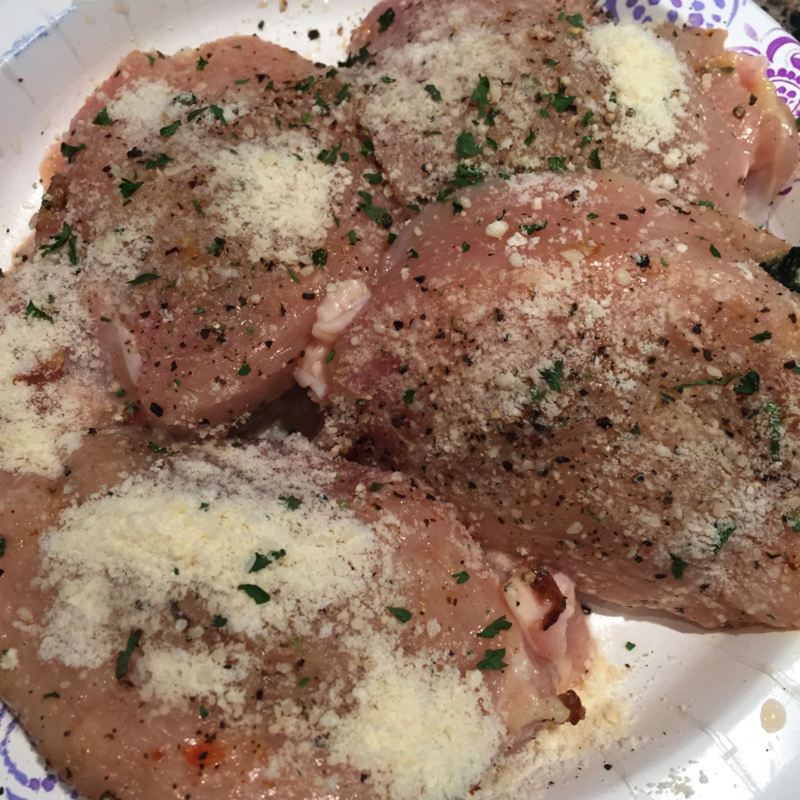 Then, sprinkle with salt and pepper - I sprinkled with extra parmesan too. 7. Now, to take it to the next level! 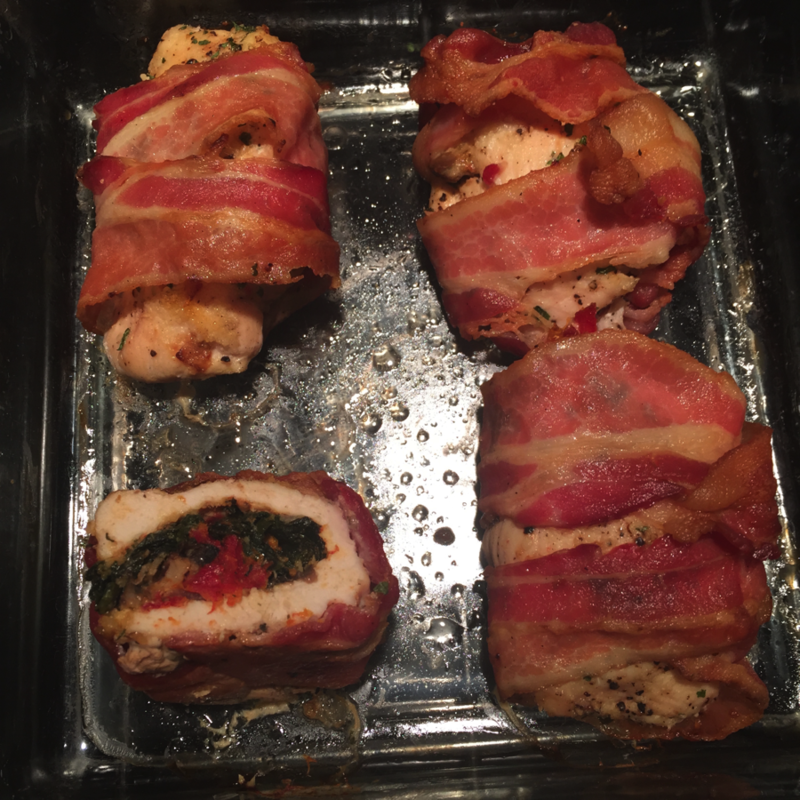 Wrap each piece of chicken with two pieces of bacon. 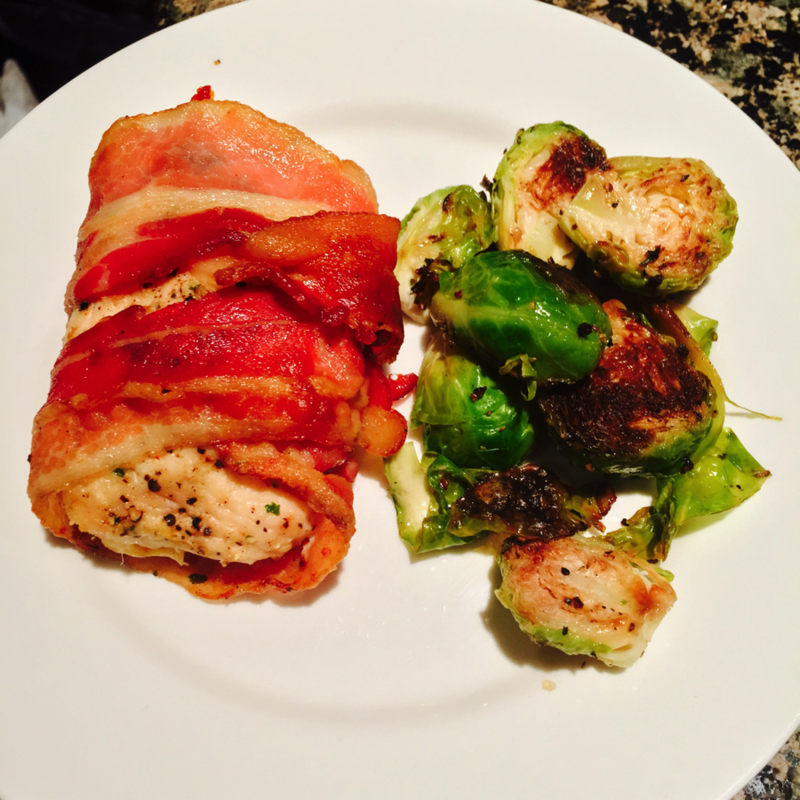 I cooked the bacon in the microwave for two minutes before wrapping because I like it on the crispier side. 8. Bake for 45-60 minutes or until the internal temperature has reached 180 degrees. It's that easy! Enjoy! **Thank you to The Midnight Baker for the inspiration!